This durable case securely exhibits science displays. 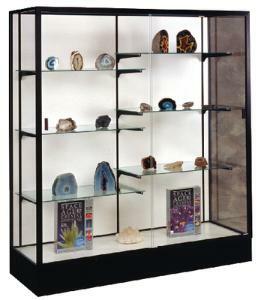 This metal case has built-in levers and eight half-length glass shelves. It is available with a bronze, satin aluminum, or gold finish and white laminate or plaque fabric back.